Want to be financially free? 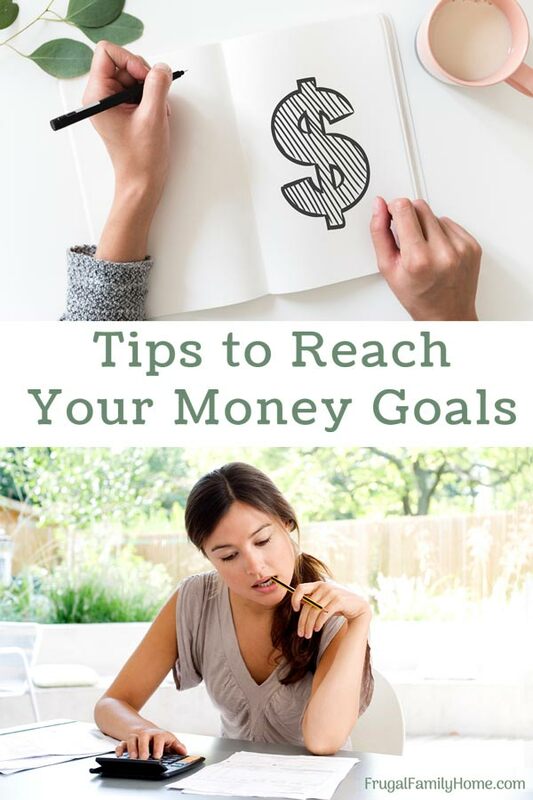 Want to reach your money goals? In this episode, I’m sharing how to change your thinking so you can reach your money goals. Reaching your money goals doesn’t mean giving up everything you love. It means changing the way you think and spending more intentionally. In this podcast, I’m sharing about making shifts in your thinking to help you achieve your money goals. How to practice intentional spending and a story of my journey from spender to saver. Welcome to episode 38 of the Frugal Family Home podcast. And today I want to encourage those of you who are trying to reach money goals and being more intentional with your money. Now one of your money goals may be to save enough money so you can stay at home with your kids instead of having to work outside the house. Or maybe you want to save up enough money to buy a house. Or whatever goal you are trying to reach. And today I just wanted to share a little bit about how you might change your thinking to help you reach those goals. Because let’s face it if you don’t work towards those goals it’s not going to magically happen. So being able to stay at home with your kids is something that doesn’t happen by chance or just because you got lucky. Being able to save up for a house doesn’t happen by chance or just because you’re lucky. And being able to reach your money goals doesn’t happen by chance its something you have to work at. You just don’t get lucky. All of these things take work, planning, and sacrifice. They just don’t happen by chance or just because you got lucky. You’re not likely to win the lottery or have someone come and hand you some money to achieve your dreams. And doing the things you are doing right now isn’t likely to get you there. You need to change. 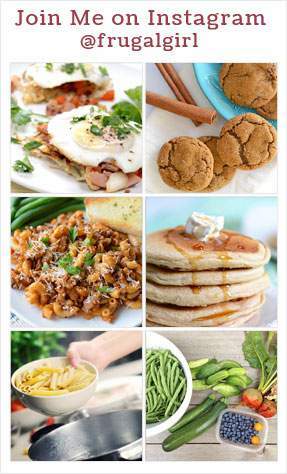 I know these things because I wanted to be a stay at home mom. I didn’t want to have to work anymore. But I knew the lifestyle we living was not going to afford me to do that. And so I needed to change. And if I can do I know you can too. Now it’s easy to look at others and what they have achieved and think that they are so lucky. That they have it all already. But you don’t see what they went through, what they sacrificed, or changes they had to make to get there. So while you might think they are lucky. Luck really had nothing to do with it. It was more about the hard work and changes they made. And really it all just comes down to choices. And I’m not talking about the big choices about oh buying a used car instead of a new car. I’m talking about the little choices you make every day. Like making your coffee at home instead of buying it out. Making a lunch and taking it to work instead of purchasing it out. The money you can save those little bits don’t seem like much but they snowball into a bunch. And those little changes in thinking help you make more changes, and more changes, and build. When my husband and myself decided I would quit my job and stay at home, it was scary. We didn’t feel lucky at all. We felt sick. We wondered would we be able to make it? Could we live on half of our income? It makes my stomach ache just thinking about it today. Remembering the worry and concern we were going through. We planned and lived on half of our income for two months. To see if we could really do it. And I’m not going to say those two months were easy, they were hard. I was working, and I was doing a lot of things to save money. But I knew I would have more time to do those things to save even more once I was home. So it was a good trial run, and we finally made the plunge and I quit my job. A little while after being a stay at home mom, I went back to my workplace to visit friends and my co-workers. And I had one of my co-workers tell me you’re so lucky you get to stay home. But again luck had nothing to do with it. It had everything to do with choices. Some hard and some easy that we had to make each and every day. You see, we all have choices to make each day what will we do with the money that we have. Living on less doesn’t have to be miserable. You can live quite well on less but only when you spend intentionally and change your way of thinking. Now you might be wondering, what changes do I need to make in my thinking to really live on less and achieve my money goals? You need to start thinking about each and every decision you make with money. How important is that thing you are going to spend money on right now? Is it very important? Will it help you get to your money goals? Or will it detract from them? That is the first change you have to make. You have to be more intentional with your spending. You need to compare the things you are spending money on with how important they are with getting to your end money goal. Is this more important to have than to be able to stay home with my kids? Is it more important to have the things I’m thinking about buying and to set myself back maybe a week or a month, in reaching our goals to have a down payment for a house? These are things you want to think about each and every time you purchase something and it’s the little things that can really add up over time. Those changes those habit changes that can have you spending less. The best practice I know for spending less is to always spend intentionally. When you are going out to the store to buy something don’t get lured in by something that looks great and is a great price. In that moment of making the purchase it can be hard to stop and think, do I really need this? You just want to mindlessly pick up something and buy. That’s what I used to do. And it can be really hard. You might even feel you need the item. And if you are a spender it can be extremely hard to walk away. I remember one day in Target, picking up an item and putting it down. Picking up the item and putting it down several times. I don’t even remember what the item was but I remember the feeling and struggle of trying to walk away from this item because I didn’t want to spend the money. But it was really hard. I’m sure I looked like a lunatic. Trying to decide, but finally, I drug myself away from the item. And my mind kept me, really, you really need it. Go back and get it. You know that little voice you hear in your head. Your selfish voice, your indulgent voice. That little voice pleading with you like a child throwing a tantrum for a toy to get their way. But I knew if I really needed it I could come back later, on a different day, and buy it. While it was hard to keep walking and not look back. In time, it got easier and easier to walk away from items. And just only get what I needed. But it took time. I was a spender. I shopped for entertainment. And all that had to stop. Because I wanted to be a stay at home mom. And so if you are a spender, like I used to be, things have to change. You have to put your money goals or your goal to be home or your goal to be out of debt in front of those things you want to buy. And I’m not going to say it’s easy. It was really hard for me. But each good decision you make, each good fight you make in your head and walk away without buying something helps to enforce your resolve to do it the next time and the next time and the next time. And soon that pull is not there anymore. I don’t have a pull to just buy things when I go to the store like I used to. In fact, I don’t care to shop much at all. And I only buy the things that we really need. So you can get through it. 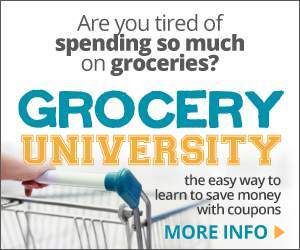 You can become a reformed spender. But it’s going to take intentional spending for a while before you can get to that place. But it is so worth it. To fight to get through that. And living frugally or spending intentionally doesn’t mean that you have to give up everything you love. 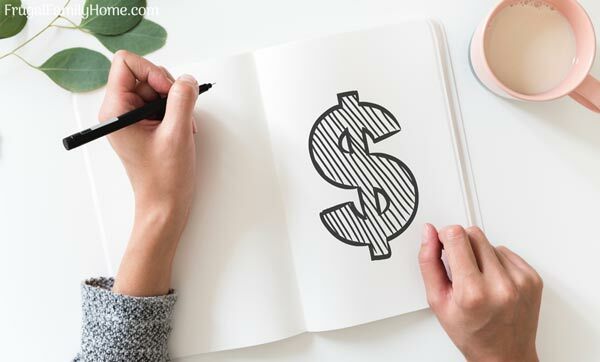 In fact, I really think that when you are an intentional spender you have more money for the things that are so important to you and the items you truly love and need, you have the money available. When you spend with the end goal in mind, it becomes easy to let those unimportant things go. Let me give you some actions to take to help you make intentional choices with your money until it becomes second nature for you. So if you are a spender, like I used to be, it’s best to just stay out of the stores altogether. Now I know you have to go shopping because you need things from the store. When you do that be sure to use cash. So you can only get the things you need and only have a few extra dollars to blow if you get tempted. If you shop a lot online, get rid of your credit cards and only use gift cards to purchase online. When you are using gift cards, you have a set amount to spend at each store you are shopping at. And that way you don’t end up going over budget and spending more money than you were thinking. Think about each purchase and weigh it against your goals, your money goals. Even eating out fast food, could you wait until you get home and eat something you’ve already purchased at the store? Make an agreement with your spouse. No spending without talking with one another. It’s a good habit to get into so you know how much is going out for each of your spending. And you don’t go over budget that way. Is this an important purchase that I really have to have? Will this negatively affect getting to my money goals? Some purchases will be necessary but some will be wants or desires that we have at the time. And if we leave them at the store, we can’t even be bothered to go back to get them later because it’s not that important. When you cut out the wants and desire, you will spend more intentionally and you’ll be able to reach your money goals more easily. Now that’s it for this podcast. I hope you found a few tips to help you today. I know it’s hard to make changes and to change the way you think. But you have money goals. I want you to reach those money goals and with a little intentional spending and intentional saving, you can reach those goals. I don’t want those unimportant things to rob you of your money goals. And you reaching the future that you want to have. If you want to talk more about this episode head on over to the blog at frugalfamilyhome.com/podcast/38. And thanks so much for joining me today and we’ll see you next time. Leave a comment below with changes you are making to reach your money goals. Let’s encourage one another on this journey to financial freedom.